Will Obama's trade deal benefit American workers? If it's revived, what would President Obama's trade deal do to my job? That's really what all the fuss is about on various trade agreements that President Obama is pushing. The biggest deal of them all is known as the Trans-Pacific Partnership (TPP for short). It would reduce trade barriers between 12 countries-- U.S., Japan, Vietnam, Mexico to name a few -- that account for 40% of the world's economy. 1. What's the debate? The White House and Republican leaders say that's great news for American workers. It would make it easier for millions of people in other nations to buy U.S. goods, which should create jobs. 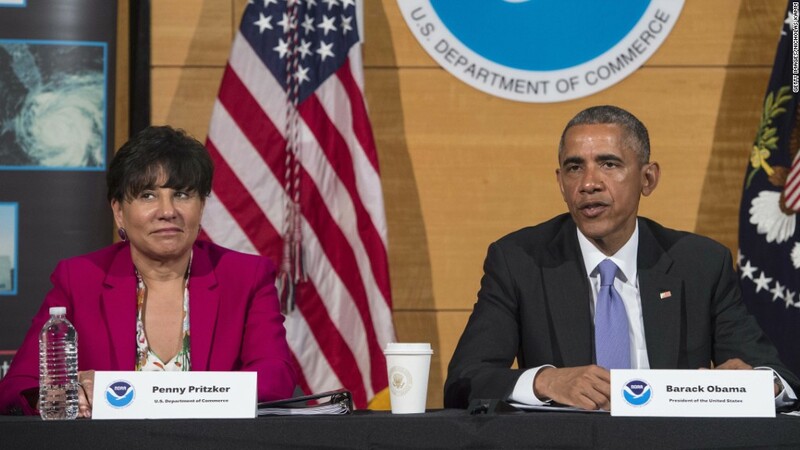 "We're going to see unprecedented growth in the middle class in the Asia Pacific from 570 million [in the] middle class to 3.2 billion in just the next 15 years," Commerce Secretary Penny Pritzker told CNNMoney. But Democrats and unions say history hasn't shown that free trade is all that beneficial to workers at home. A deal like TPP would just make it easier for businesses to move jobs elsewhere, they argue. 2. Who's right? It's difficult to answer that because TPP is being negotiated mostly in secret. You can't just go read through the document like you can for most pieces of legislation. On Friday, the House was supposed to vote on whether to give the president "fast track" authority, but in a big defeat for Obama, House Democrats defeated a key part of the bill. The issue is likely to come back for a vote next week. If passed, the Obama administration would be able to negotiate and sign various trade deals -- like TPP -- with little legislative involvement. It would almost certainly mean that TPP would get done, at least in some form. Here's a look at what all this means for your job -- and your neighbor's. 3. What about my job? Workers in the auto, agricultural and energy industries likely have the most to gain. America's top exports right now are cars, gas and planes and other spacecraft. Reducing trade barriers should make those industries thrive even more. On the agricultural side, products like pork are in high demand elsewhere in the world. The U.S. could potentially set up and fill that void. But critics of the deal argue that workers for larger companies that have a global reach already will be in a better position to benefit than workers at smaller businesses. The biggest question mark is what will happen to other manufacturing and service jobs. Nike (NKE), for example, has said it would create 10,000 new engineering and manufacturing jobs in the U.S. if TPP happens. But economist Peter Morici of the University of Maryland calls it "simply a bad deal for ordinary Americans" because of "downward pressures on wages and worsened income inequality," in a Washington Times op-ed. He says America's free trade agreement with South Korea killed about 25,000 jobs, driving wages down and worsening income inequality. 4. Who profits from the deal? One of the most outspoken supporters of TPP is the U.S. Chamber of Commerce, the main lobbying group for big business. As the White House points out, exports have been a key driver of economic growth during the recovery, accounting for about a third of the rebound. But critics like Democratic Senator Elizabeth Warren question whether anyone beyond big business executives and shareholders will benefit. "U.S. multinationals, like GE (GE) and IBM (IBM), would still profit from the TPP by moving production to Asia to advantage labor and other resources made cheaper by manipulated currencies, but ordinary working Americans would face more unfairly advantaged foreign competitors, unemployment and even lower wages," argues Morici. 5. Better conditions for whom? One of the missing details that the public doesn't know right now is how many protections are in the TPP deal. The White House says the trade agreement will enforce better labor and environmental practices -- at home and abroad. If done right, it could give the U.S. more teeth to fight back when other countries try to undercut America. For example, the agreement is supposed to provide protection for the intellectual property of U.S. exports, from movies to software to prescription drugs. The White House was also trying to create an assistance program for workers who lose their jobs because of free trade agreements. But the wording -- and enforcement -- is key. "If you're used to reading these trade agreements, the devil is absolutely in the details," Thea Lee, the deputy chief of staff for the AFL-CIO, which is spearheading the left's opposition to the deal, told CNN.